Why don’t I do what I know I should do? What keeps me from focusing on my real priorities? I wish I could get more done. These are common issues my clients mention frequently. They are issues I have struggled with from time to time. I know you face the same struggles, too. Our church youth pastor, Brian Talty, had a curious opening to his sermon on Sunday morning. “How many of you like pie charts?” he asked. No one raised a hand. He then went on to talk about priorities and values; how he, like many of us, seem to have our priorities in order – God, family, work, service. Like many people, I have pledged my desire to give God the “biggest slice of the pie” that is my life. I devote a portion of my day to, well, “devotions”, a part of my week to church, prayer, and fellowship with others who share my faith. I find myself praying incessantly. We do these things, yet something still gets left out. Most of my weekends from about October 1 through March 1 each year is spent travelling to and from my sons’ hockey games. During the week much of my time is devoted with my boys or to my boys. I work from home (I have for six years) and I am amazingly productive and disciplined. My work is an extension of my life’s purpose – I am fortunate that way. We can strive and seem to have our lives in order, yet still feel that there never seems to be enough time. Why is that? We treat time like a commodity, something to be bartered, portioned, sliced and served, something we can “buy low and sell high”, as if we could increase our collection of time or trade it away when needed. Fact is, we are contained in time and merely have the opportunity to move through it in 24-hour increments – no more, no less. Brian Talty did one more thing at the end of his sermon that I will never forget. 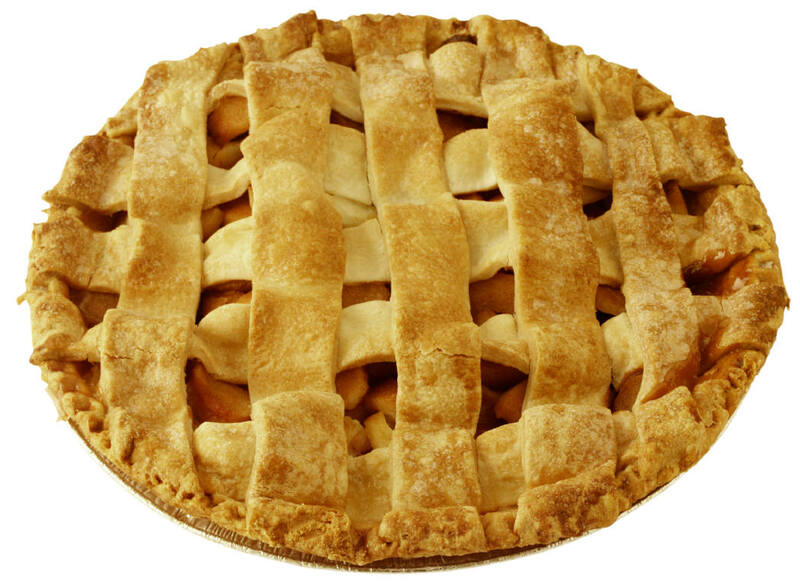 He took a real apple pie and sliced the largest portion of it to represent the largest portion of life in which one might make God the priority. As he held it with a pie server, it began to fall apart and drop in pieces back into the pie pan. God isn’t something for whom we can carve out a portion of our life. He is the apples inside the pie. He pervades everything, every moment, of our lives. God, family, work, service – these are not the portions of our lives we must “balance” against each other. These are the things that fill our lives; these fill each moment of our time when we are living On Purpose. When I stay focused on what is most important to me, I always have enough time. I am not playing family against work – they both give purpose to everything I do with my time. How are you portioning your time? How could your priorities and values fill all that you do with your time? Do you schedule time for spiritual renewal, time for family, time for work, time for service? How might you begin to allow these to pervade all that you do, all the time? This entry was posted in family, focus, God, priorities, procrastinate, Purpose, service, time management, values. Bookmark the permalink.